Design Rights: Functionality and Scope of Protection addresses the issue of functionality in the context of design rights. Protection of industrial and other designs has developed as a distinct and important area of intellectual property law. 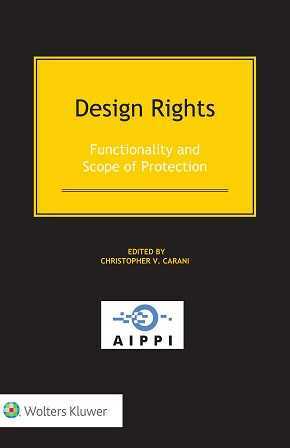 This book, while providing a solid foundation of the law regarding the protection and enforcement of design rights, focuses on the ever-present, and always contentious, issue of functionality in the context of design rights. While there is considerable harmonization on the fundamental principle that design rights regard aesthetic appearance and not underlying technical function, courts and legislatures the world over have long struggled with determining whether to permit, and how to interpret the scope of, design rights directed at products whose appearance may, partially or completely, be the result of functional consideration. This detailed country-by-country analysis provides clarity, insight, and guidance on the legal issues and practical implications of functionality in twenty-seven key jurisdictions worldwide. This book was developed within the framework of the International Association for the Protection of Intellectual Property (AIPPI), a non-affiliated, non-profit organization dedicated to improving and promoting the protection of intellectual property at both national and international levels. examples of how visual elements of a design right whose appearance is driven by the function are treated in infringement and validity contexts. Each chapter includes case law examples, hypothetical fact patterns, and graphic images of designs to bring issues to life. An introductory chapter covers the basic tenets of design rights, terminology, and discussion of design rights in relation to other areas of intellectual property. As a comparative law study and a collection of contributions from around the world on an important and controversial field, this book proves to be of tremendous practical interest for the industry involved, as well as for the public. Applicants for design protection, parties involved in or contemplating enforcement proceedings, and interested legal practitioners will benefit greatly from its thorough comparative analysis and guidance. It is also exceptionally valuable as a comprehensive resource for academics and researchers interested in the international harmonization of intellectual property law. Christopher V. Carani/Dunstan H. Barnes, Ph.D.